Tokoroa (Māori: Te Kaokaoroa o Pātetere) is the fifth-largest town in the Waikato region of the North Island of New Zealand and largest settlement in the South Waikato District. Located 30 km southwest of Rotorua, close to the foot of the Mamaku Ranges, it is midway between Taupo and Hamilton on State Highway One. Tokoroa was the name of a chief of the Ngāti Kahupungapunga, who was slain by Raukawa during the siege of Pōhaturoa, a volcanic plug adjacent to Atiamuri, 27 km south of Tokoroa. This battle took place around 1600 as the Ngāti Raukawa moved into the southern Waikato. The name Tokoroa first appeared on the early maps of the 1860s, although this was for an area 50 km north east of today's Tokoroa. Tokoroa is one of the most recent towns in New Zealand history. The township was established (circa) 1917 by the Matarawa Land Company as a potential farming area; although a few families had already settled in the area after 1910, and a school with 9 pupils was founded in 1915 (later to become Tokoroa East School). The land was found to be too poor for raising cattle or sheep due to its predominant pumice soils. However, agricultural science showed the land could actually be made to successfully support dairy cattle. The soil had serious deficiencies causing livestock to suffer from what became known as "bush sickness" (later found to be cobalt deficiency). In the 1930s, the deficiency was addressed, and subsequently, cattle farming then became profitable. Between 1925 and 1935 Pinus radiata was first introduced as a commercial tree crop, to the district - as the trees were found not to be adversely affected by the local soil deficiencies. As the initial crops matured, Tokoroa was then developed as a residential satellite for Kinleith Mill workers (New Zealand Forest Products Limited's integrated timber, pulp and paper mill), approximately 8 km south of the township. In 1948, Tokoroa had a population of 1,100. By the early 1970s, however, Tokoroa reached, for a time, a population of over 20,000 - the number necessary to be officially deemed a city. In the 1980s years NZFP (and later, mill-owner Carter Holt Harvey Ltd) began to downscale and restructure operations at Kinleith. Tokoroa's population fell to approximately 18,000. Since the late 1980s ongoing downscaling at Kinleith - and closing of other local industries - has resulted in a marked drop in population. Census figures put the 2006 population at approximately 13,600. Tokoroa has two marae connected to local iwi and hapū. Ngātira Marae and Te Tikanga a Tāwhiao meeting house are associated with the Ngāti Raukawa hapū of Ngāti Ahuru and the Waikato Tainui hapū of Ngāti Korokī and Ngāti Raukawa ki Panehākua. Ōngāroto Marae and Whaita meeting house are affiliated with the Ngāti Raukawa hapū of Ngāti Whaita. Surrounding the township are many dairy farms and plantation forests. There are many scenic reserves around the town – the artificial lake 'Moana-Nui' (formed by damming the Matarawa Stream) lies within a recreational park. Tokoroa lies in the centre of a triangle made up of the tourism destinations of Rotorua, Waitomo and Taupo. There are also about 45 recreational lakes within less than an hour's drive of Tokoroa. Many of the street names of the town were named by the first managing director of N.Z. Forest Products Ltd.(builders of the Kinleith mill), Sir David Henry (1888–1963), after places near his hometown of Edinburgh, in Scotland. David Henry Primary School is a key example of him and his namesaking. Tokoroa is a town of over 13,600 people. Tokoroa is a multicultural town, with about 35% of the population being Māori and another 20% from the Pacific Islands (mainly the Cook Islands). The remaining 45% of the population is made up mainly by NZ Europeans. The economic lifeblood of Tokoroa is forestry, centred at the nearby Kinleith Mill; and dairy farming. In 1995, Fonterra built the southern hemisphere's largest cheese factory in Lichfield, some 5 km north of the town. Recently, due to an increase in dairy prices, large amounts of previously forested land either have been or are in the process of being converted into farmland. The main agricultural activities of the district are sheep and dairy farming. Forestry is still, however, the primary and most important industry to the district. Timber is milled and processed at Kinleith. Over recent years, the sharp decline in timber processing has seen the majority of raw logs shipped offshore. Most of the Kinleith workers live in Tokoroa, with a small number commuting from other South Waikato towns. Tokoroa is a marketing and servicing centre for agriculture, inline with other associated industries. These other industries include (but are not limited to): the manufacture of cheese (and related dairy products [via Fonterra]), specialised wooden boxing, timber joinery, saw milling, general engineering, and the quarrying of building (masonry) stone. Although Tokoroa's economy primarily tends to revolve around timber and farming, many large retail companies have continued investing in the town – Foodstuffs recently constructed and opened a New World (supermarket) on Tokoroa's main street (Bridge Street). Also, Progressive Enterprises (a major competitor to Foodstuffs Group) also recently built New Zealand's first Countdown (supermarket) featuring bilingual (i.e. including Te Reo-Māori) signage. Tertiary education is important to Tokoroa, through Te Wānanga o Aotearoa and Toi Ohomai Institute of Technology. As well as several primary, intermediate schools, and two high schools, it also notably boasts a Kura Kaupapa Māori which offers education in the Māori language. Tokoroa has a number of Tourist and visiting attractions, as well as many facilities for local use. Since 1997, Tokoroa has been "sprouting" Talking Poles, consisting mainly of carvings representing ethnic culture, sports recreation, industry in the town and stories about the town. This one, photographed shortly after its unveiling in 2004, is a chainsaw carving of a deodar cedar which died from natural causes. It is representative of the Greenman in Welsh mythology and is located on State Highway 1, immediately adjacent to the town's information centre. By October 2008 there were 42 Talking Poles are displayed around the town. Tokoroa Talking Poles symposium is convened every two years at the Tokoroa campus of Te Wananga o Aotearoa. The Greenman was carved in 2004 by Mr Andy Hankcock. Tokoroa's man-made Lake Moana-Nui was created in the late 1970s for the community, involving excavation by large earthmoving equipment and a concrete dam wall with a drain valve control. A wooden bridge located on the south-west end of the dam wall that supported and controlled the drain valve was a favourite 'bomb' spot, and barefoot skiing down the spillway was early extreme sport unique to Tokoroa. During the 1970s, 'The Lake' was used extensively by youths and was referred to in local parlance as 'Tokoroa Beach'. On many summer afternoons, it was a common sight to see youth lying on the footpath across the road from the lake drying out after a swim. In the period following the initial construction of the dam in the late 1970s, the lake began to deteriorate due to low rainfall and poor water flows, which saw lake weed overtake the swimming areas. The lake weed eventually became a drowning hazard that claimed the lives of swimmers over the preceding decade. In this sense, the project was a failure, and Lake Moana-Nui was considered unsafe. In an effort to control the problems, signs were erected banning access to the dam wall, and basic handrailing was put up to prevent public access. The lake was subject to regular draining in an effort to control the weed and to flush out the stale, stagnant water. While this did slightly improve the situation in the short term, people were warned not to swim in it. The lake is undergoing a major cleaning project so that it can be used in the future. To date (as at 25 April 2015), Lake Moana-Nui has been fully drained, refilled, and restored - and has been cleared by the local council for public recreation (as it was in its heyday during the 1970s and 80's). There are picnic tables built around the lakes arc and there are four playgrounds. At the southern end of Lake Moana-Nui are gardens which were planted by a collective of Tokoroa school children. The current location of Tokoroa's library holds many historic memories for the locals - as it was previously the town's cinema. It currently holds a library with a full computer suite, over 2,000 books, a reference book section, and children's leisure area. It is located in the Tokoroa town centre. Tokoroa Hospital provides limited medical services for a population of approximately 22,800 people in the South Waikato District. Currently, the hospital provides 21 beds made up of a 17-bed inpatient ward and a 4-bed maternity ward. There is also a dedicated emergency department with capacity for five patients, and a fully functional theatre suite presently used for minor day surgery. Other facilities include x-ray and laboratory services, a cafe, a helipad for patient transfer, and various allied health services. District and public health nursing, diabetes nursing specialists, occupational therapy, physiotherapy, and health social work services are also based the hospital site, which also hosts clinics with various visiting specialists. The hospital site accommodates the Tokoroa Council of Social Services (an umbrella organisation of community services), and since 2014 has also hosted the town's GP practices, a pharmacy and several other health services in a modern health campus based at the hospital's former Ward 3. Tokoroa Polynesian Festival occurs every year during September. Tokoroa's local schools and preschools give Samoan, Māori and Cook Islands performances, where you hear the Cook Island drumming and dancing and the Māori performing arts being displayed on the huge stage at the new South Waikato Events Centre, located at The Tokoroa Memorial Sports Ground. The 2009 event hosted NZ artists J.Williams and Erika. Tokoroa being within the Waikato Province falls under the Waikato ITM Cup provincial catchment and the Chiefs Super Rugby franchise. The South Waikato district's netball associations also fall under the catchment for inclusion in the ANZ Championship, Waikato/BOP Magic franchise. Over many decades, Tokoroa has been a natural base for strong, competitive woodchopping and sawing events. The axe long saw and chainsaw competitions, at the local A&P Shows, over many decades, have always been central to the local, timber and timber works culture of the town. As of 2018 the annual Tokoroa A&P show has been axed due to financial reasons. Tokoroa has a number of cycleways which link the town centre with the outlying suburbs. These cycleways consist of a mixture of dedicated cycle lanes and mixed-use cycle/walk ways. There is an extensive cycleway from Browning Street, Tokoroa that leads to Kinleith which has extensive views of the town and the Kinleith mill. New Zealand's main arterial route, State Highway 1, runs through Tokoroa's eastern edge. 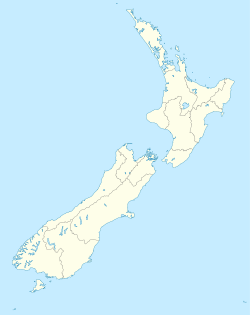 Tokoroa is also accessible from the south-west via State Highway 32 (via Maraetai Road). Tokoroa is also a non-traffic light controlled zone. Tokoroa is served by national bus (coachline) services such as Intercity (New Zealand) and Naked Bus, operating on various routes along State Highway 1. The Kinleith Branch line runs through Tokoroa on its route between Waharoa on the East Coast Main Trunk line, and its terminus at the Kinleith Mill to the south of the town. Most freight trains on the line travel between the Kinleith and the Port of Tauranga. There have never been any passenger services on the line. Also, there is no longer a station, or rail-freight yard in Tokoroa, where once they existed. Previous to the construction of the Kinleith Mill, and the current Kinleith Branch line, a private bush tramway operated by the Taupo Totara Timber (TTT) Company, used to operate along the route of the present line along its path between Putaruru and the company's mill at Mokai, near Taupo. The main cargo, from Kinleith, used to include: raw and processed pulp; paper products; plywood, timber, and raw logs. With restructuring having taken its toll on processing at Kinleith, however, the predominant cargo is now raw and ring-barked logs; logs are destined for export to timber, pulp, and paper processing plants worldwide. The Politicians – rock/new wave/reggae band formed in 1981 by Tim Armstrong. ^ "Tokoroa". New Zealand History. Retrieved 23 April 2019. ^ "History of Tokoroa". Tokoroa Intermediate. Retrieved 25 February 2014. ^ "Pumice Lands Proved". Ohinemuri Gazette. XXXII (4228). 14 February 1921. p. 2. ^ Swarbrick, Nancy (13 July 2012). "Waikato Places - Tokoroa". Te Ara - The Encyclopedia of New Zealand. ^ "Fonterra Cheese Factory". South Waikato District Council. Archived from the original on 18 November 2009. Retrieved 16 January 2010. ^ "Waikato District Health Board". ^ "South Waikato Health Centre". ^ Kirkeby, Luke (19 July 2017). "The A&P Show will be no longer in Tokoroa". NZ Farmer.